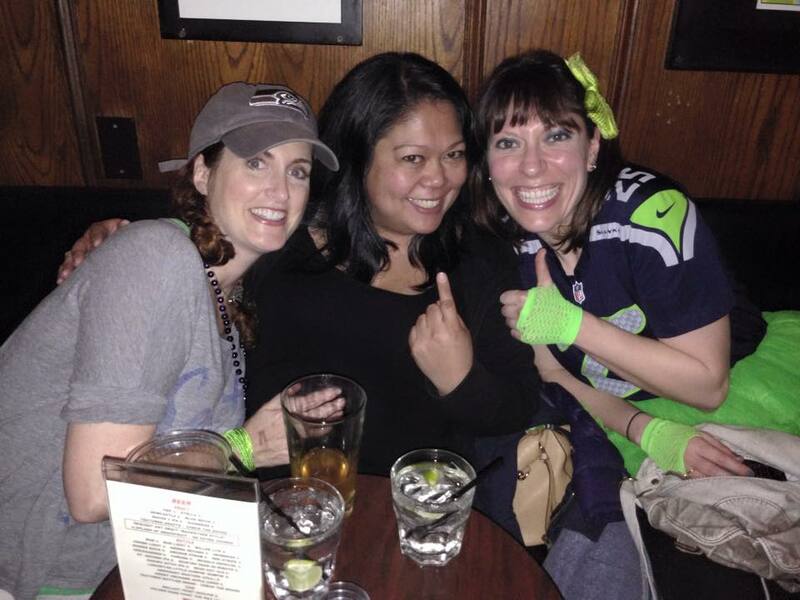 This NFC Championship game has been a grim one for Seahawks fans. Russell Wilson, our typically unflappable, playmaking quarterback, the guy who always seems to get better when the moment gets bigger, has just, in the biggest game of the season, thrown an unprecedented fourth interception. There are just over three minutes remaining in the fourth quarter, and we’re down by twelve points. This game is all but lost, and with it, our once bright and glittering hopes of returning to the Super Bowl for the second time in as many years to try to once again capture the coveted Lombardi Trophy. Our spectacular late season winning streak is coming to a very unspectacular end. Anybody know any good jokes, indeed. And then, the improbable happens. Our offense, which has been stagnant for nearly the entire game, springs to life. The Hawks launch a quick scoring drive, culminating in Russell Wilson taking the ball himself into the end zone for a touchdown. Our quarterback, our receivers and our beast of a running back are suddenly, inexplicably, playing like themselves again. Still. There are only two minutes left and we’re down by five. All Green Bay has to do is recover the onside kick and they’ll put the game away, punching their ticket to the Super Bowl. The entire bar – full of mostly Pacific Northwest expats – holds its collective breath. Our kicker – Steven Hauschka – launches the ball into the air . . . and in the fracas that ensues, a navy blue jersey comes down with it. 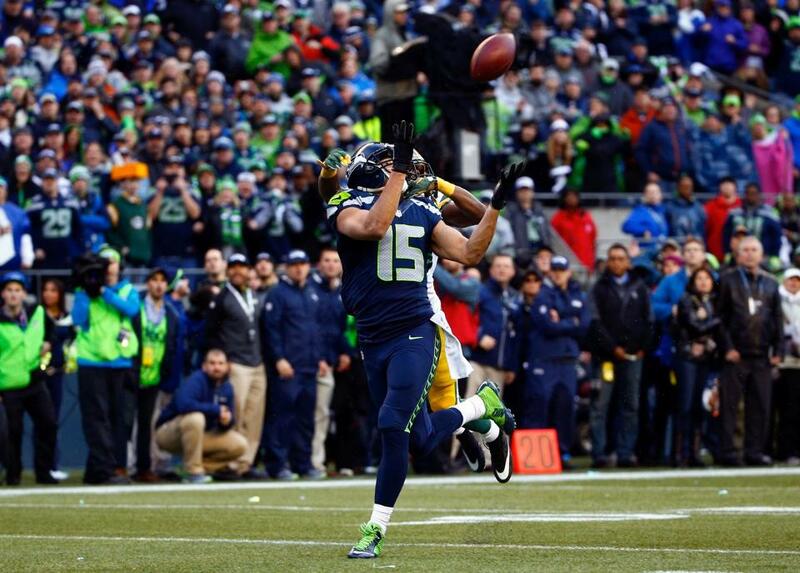 Oh my god – the Seahawks have done the unthinkable. They’ve recovered the onside kick! The crowd inside Backstage Bar emits a thunderous roar. Strangers – united by love of team – embrace each other. Eyes – including mine – fill with tears, sensing the enormity of what has just occurred. If you follow sports at all, you know what happens next. 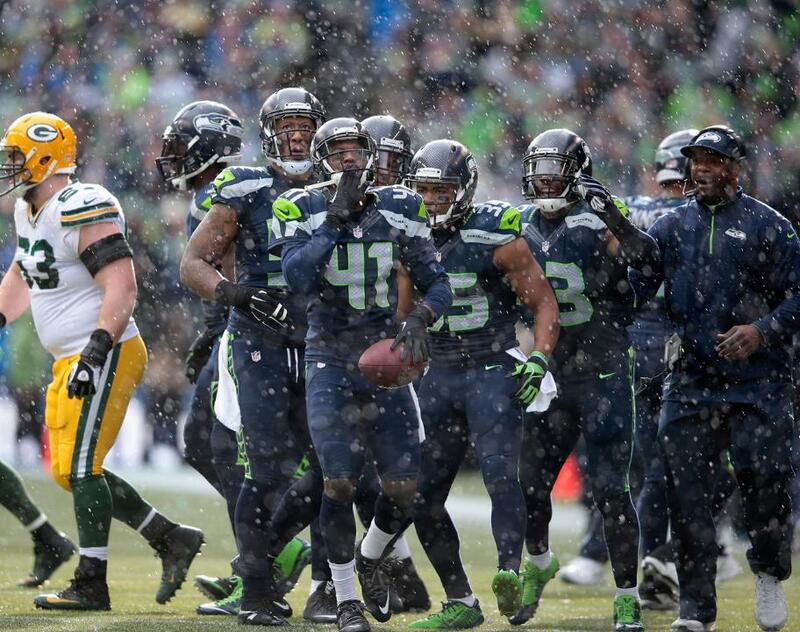 Our running back Marshawn – Beast Mode – Lynch runs for a touchdown, Russell Wilson floats a Hail Mary of a two-point conversion that somehow, some way, finds Luke Willson in the end zone, the game goes into overtime and the Seahawks march down the field and score the game-winning touchdown. Improbable miracle after improbable miracle, culminating with what no one thought possible just a few minutes prior: the Seahawks are heading back to the Super Bowl. Huh. Christians just believe. Is that all there is to it? It is true that Russell Wilson is a devout Christian who speaks openly and often about his faith. It is also true that after the Seahawks’ victory, Wilson, overcome with emotion, wept openly and thanked God during an interview with sideline reporter Erin Andrews. Religious faith certainly plays a role in his ability to persist in the face of overwhelming obstacles. But what about other forms of belief – like belief in self and in one’s own ability to persevere? Where does that come from? And where does belief spring from for those of us who don’t possess an abundance of (or any) religious devotion, but who remain equally resilient in the face of crisis? What about those of us who don’t attend church, but still think that life is made up of more than just a string of random coincidences? For most of my life, I’ve been both an unflagging optimist and a religious skeptic. And I never thought there was anything weird about that. I don’t think you have to be a “believer” in order to believe, nor do I think you have to be religious to have faith in something that can’t be proven. But the game did leave me wondering about the concept of belief. For example, why was it so easy for me to have faith in my team, to not give up on them even when the situation appeared desperate, and yet at the same time, so difficult for me to cultivate those same beliefs in myself? These last few years, circumstances have given me plenty of reasons to abandon my optimism. Life has knocked me down and kicked me in the shins. Often, I’ve felt that I’ve had no reason to hope, other than the fact that hope itself exists. And while I’ve maintained my sense of hopefulness, what I realized during the Seahawks’ improbable NFC Championship win – and this is going to sound totally crazy to all the non-sports fans out there – is that, unlike my team, I haven’t honestly believed that things are going to get better for me. I’ve spent so much time in crisis mode that I’ve become used to just surviving, to just getting through it. And on some level, I think I believed that surviving was the best I could hope for. But – if you’re still with me – my wacky, football-induced epiphany is that when it comes to life, the mere act of surviving is not enough. Staying in the game is not enough. If you want to win, you have to take the big chances, because the big rewards only come when you take the big risks. 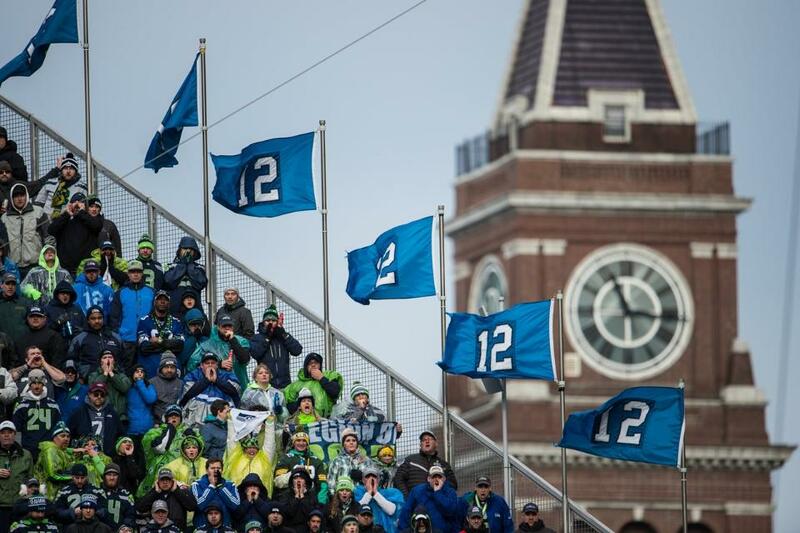 The Seahawks’ come from behind victory was a direct result of taking those types of risks, like Russell Wilson throwing a deep ball down the field to Jermaine Kearse – a receiver he had targeted four times prior, with all four passes resulting in interceptions. The evidence would suggest throwing that pass was a mistake, but Wilson’s belief – in himself, in his teammate, in God, in the playbook, whatever – gave him the confidence that this time, in the 11th hour when the game was on the line, he would complete the pass and win the game. I’m not saying that because of a great football victory, I’m going to go out and get religion. But what the game did do was awaken something in me that had been long been dormant: an idea about the miraculous, resilient, mysterious nature of the human spirit, about the unquantifiable x factor that exists within all of us, and in the ability to trust in something that can’t be seen or proven but that still, we somehow know to be true. I may have ambivalence around the big GOD question, but when given the choice between the idea that life is random chance or composed of a little bit of magic, I choose magic. Every. Time. Sometimes a sporting event is simply just a game. And sometimes, it’s so much more. Sometimes it reminds you – in small moments and in big ones – how you want to live. It’s going to be one exciting Super Bowl. In my life experience I would say everyone has been given/ or designed with a measure of faith. It is as valuable as a leg, arm, or any other part of us in becoming who we are and determining our destiny. However, it is singularily up to us in who or what we believe. We are free agents and have been given free choice to navigate direction of our heart mind, body and soul. This is the beauty of creation and the nature and character of a divine omnipotent, omniscient, omnipresent God almighty. I don’t believe in magic, but I do believe in attitude. Thanks for the read. I think we find inspiration/insight/epiphany in unlikely places, when we don’t expect it, and if we are open, we will see it. BTW, I’m in the Green Bay area, so I was rooting for the Packers. Regardless, the Seahawks did make a very impressive comeback and I hope they win the Super Bowl! Interesting, although I gotta say, I read a great sports story on the WashPost, interestingly written by a woman. I understand how even watching a football game, you dive into something bigger and deeper. When I found myself in a similar place I was utterly lost at sea. I could do nothing but try to get my had up enough to breathe and I’d swallow water and then I was in a rock strewn river and only on occasion would I get a little respite from the battering. You just have to go with it, let it work, and that basic optimism you write about will get you through. Jung, Maslow, and others have written about this. Joseph Campbell is great too. And there’s a huge and growing body of texts in the eBook market that dance around this stuff. Ultimately you’ll know it from your own experience. I don’t yet know if it’s subject to lapses, I’m sure they’re likely, but I believe it is a profoundly grand achievement beyond any material, and perhaps, rational understanding. It’s not about any set of texts, it’s not even about the words….it’s about living life directly, moving behind the curtain, around the corner where the characters Plato referred to put on the real show. And we still get to see what we’ve always seen before, yet everything, every thing is different. Some would call it letting the inner Buddha out. Others might say it finding oneself in the will of God while others would simply say this is what being human is supposed to be. Go Hawks! What does the hawk say? Win win win win….yeah I live in rural southwest Washington State. Thanks for the reading. I will be watching the Superbowl in a different way this Sunday, hoping to catch a little magic for myself. Cheers and Go Hawks! Nice going, Sarah! aunt Noreen!